One of the most spectacular spots for a Lake George NY Wedding is the Inn at Erlowest. Down the hill and on the edge of the lake, the Inn has it’s own beach area and a lawn which leads right to the edge of the lake. If you want a lakeside wedding on Lake George, this is the spot. The cruise boats pass right by. The mountains are in the background. The lake laps against a giant piece of bedrock right on the shore. And this, one of the best lakeside spots for a Lake George wedding, is my favorite. For this relaxed bride portrait, a gentle addition of some lighting kept the image feeling like natural light wedding photography and provided me with so much more control. She stands out. The mountains are mighty. And the Adirondack lake view is authentic. As an experienced Lake George wedding photojournalist, I’ll bring a large set of skills to your wedding day. You won’t be limited like you would if you hire a less experienced photographer who only knows how to use a flash on top of their camera. And ends up shooting all of your photos that same, one, way. With external lighting and great lighting skills, I can add-to existing light, or create a whole new look out of a situation. You’ll also get photos that respond to, and use, great natural light. But you won’t be limited like you would if you hired someone who claims to be a natural light wedding photographer. So many of them just don’t know how to use light. And you end up with images that are washed out or completely dark. So, a few of those photos can be interpretive, beautiful. But you can’t rely on that one trick during a fast moving wedding day which throws lighting challenges at you faster than 4th grade dodgeball game. Having A Lake George NY Wedding? 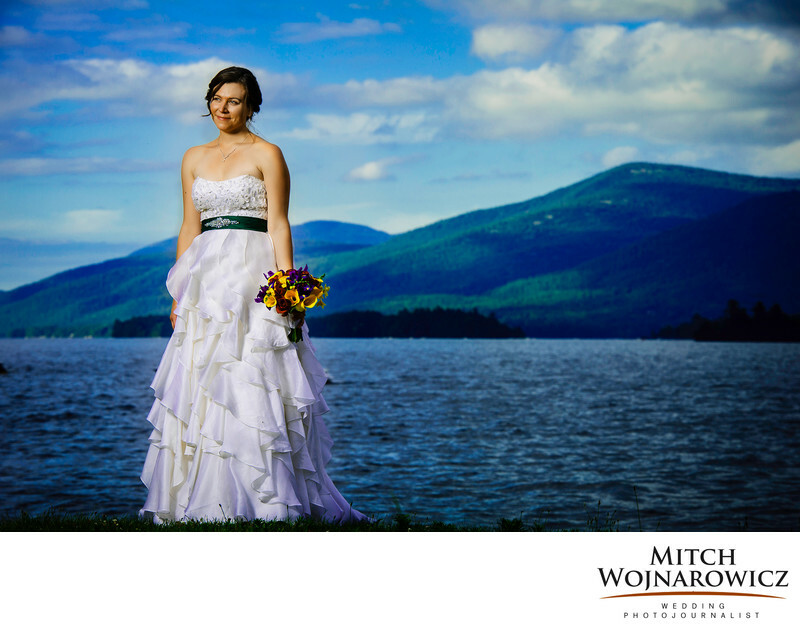 Want to see more of my Lake George NY wedding photos? Then Reach Out To Me Here! I’ll listen to your needs. We’ll clarify what it is you are looking for. It’s not about a sales session or putting together pre made packages as a booking enticement. It’s about hearing what you need and want. It would be great to see if we are a good match for each other! I look forward to hearing from you. Keywords: adirondack (60), inn at erlowest (3), lake george (30).